The City of Armadale is proud of the incredible and diverse young people living in our community. With WA Youth Week 2019 taking place in April, we are on the hunt to showcase and celebrate some of those amazing young people. If you are, or know, a young person aged 12 – 25 that lives within the City of Armadale and have a story to tell – share your story for the chance to be recognised in WA Youth Week and for your chance to win a $50 Armadale Shopping City voucher. Not sure if your story is worth telling? Every young person’s story is worth telling! Have you shown extreme courage or bravery, been uniquely innovative, expressed kindness in a situation that needed it, triumphed over personal hardships, made a contribution to your community, started a business or invented something from scratch, are passionate about making a difference or positively impacted the lives of those around you, volunteered your time, demonstrated amazing leadership, shown dedication to the sporting community, or anything else…? We would LOVE to hear from you to showcase how inspiring the young people in our community are! How to make a submission and tell your story? Fill out the application form (download below) with your details, story and parent permission (if under 18). The deadline for story submissions has been extended to Friday 8 March 2019. Shortlisted nominees will now be contacted by Monday 11 March to advise your story will be shared and celebrated and to organise a photo of you/ the nominee. 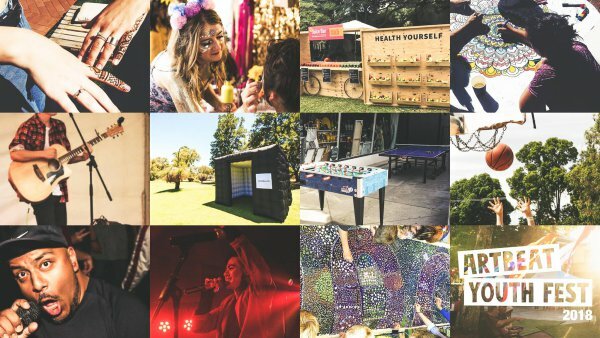 If you are shortlisted – your story will be shared through the City of Armadale’s social media channels during WA Youth Week 13 – 20 April, and in a physical art format at the City’s Artbeat Youth Fest. All accepted submissions will go in the draw to win a $50 Armadale Shopping City Gift Card, which will be drawn on Monday 11 March. The winner will be notified on Monday 11 March. Click here to read the campaign Terms and Conditions. To celebrate our community's young people the City of Armadale and local schools and community organisations will be bringing the annual Artbeat Youth Fest to the Armadale for 12 – 25 year olds on Saturday 18 May 2019 from 11 - 3pm. Artbeat is a celebration of all things youth with cool pop up spaces, interactive workshops, games, live music and performances, creative hubs, entertainment and more. The City ensures Artbeat is designed by, with and for young people and aims to be a true celebration of their talent, passion and spirit. It also provides an interactive showcase of the support available for local young residents through our many local community organisations. If you are a young person aged 12 - 25 and would like to be involved in planning future Artbeat Youth Fests or WA Youth Week events please email us with your name, age phone number and ideas to info@armadale.wa.gov.au. View the images from the 2018 Artbeat Youth Fest here. Click here to see all of the images from the 2017 Artbeat Youth Fest.